Are Turnips Bad For You? - Here Is Your Answer. Are Turnips Bad For You? Turnips are considered a root vegetable that is related to other cruciferous vegetables-broccoli, cauliflower, kale and radish to name a few. 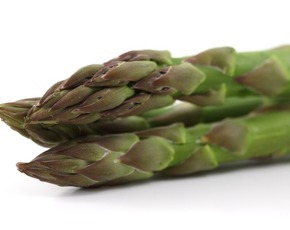 It is packed with nutrients, good source of fiber and delivers many health benefits. 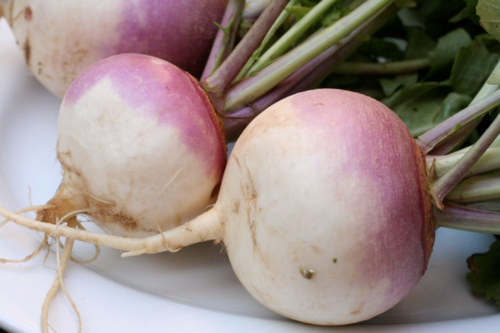 Turnips are low in calories and have omega-3 fatty acids. It is a great addition to your diet if you would like to lose weight and also support your cardiopulmonary, immune and digestive system. Turnips are cruciferous vegetables that are cousins to broccoli and cauliflower and pack a nutrient punch when it comes to vitamins, minerals, phytonutrients and fiber content. Turnips are somewhat bland in taste but can be added to flavorful recipes that bring an added touch of nutritional value. 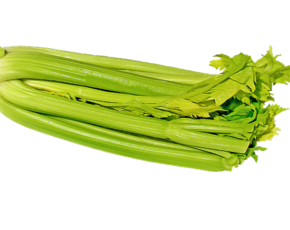 Other cruciferous vegetables include kale, brussels sprouts, collard greens, bok choy, mustard seeds, arugula, and garden cress. Turnips may not be as popular as other cruciferous vegetables but they are a great choice when it comes to a low calorie and nutritious food. A medium sized turnip is lower than 40 calories, provides about 4 grams of fiber and is high in vitamin C. Turnips are a great natural antioxidant and anti-inflammatory. The bulb of the turnip is nutritionally dense but the long green stems also provide great health benefits. Because turnips are low in calories, have no cholesterol and have a negligible fat content it is a healthy dietary addition for addressing weight loss. 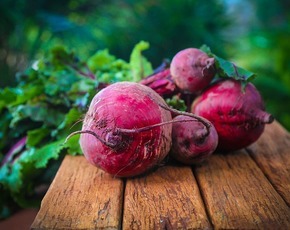 Turnips contain glucosimolates-a natural surfer component of cruciferous vegetables that are known for their pungent odor and somewhat bitter taste. When these natural sulfur containing compounds are broken down in the body they have shown significant anti-microbial and anti-cancer benefits. In addition to vitamin C, turnips provide vitamins K, A, E and B complex which add to its antioxidant power. Antioxidants are a daily requirement to fight against toxicity that leads to free radical accumulation in our body. Free radicals are unstable molecules that cause damage to our cells and DNA. It is known as oxidation and could be considered as “rusting of the internal body.” Therefore, antioxidants can address this process and help to prevent against degenerative, inflammatory and malignant disease. Turnips also contain minerals like manganese, magnesium, potassium, calcium, copper and phosphorous. These minerals help to fuel essential enzymatic pathways that support bone health, detoxification, cardiopulmonary health and immune health. Turnips are a good source of Omega-3s. Omega-3 is an unsaturated fat that is not produced in the body and needs to be consumed in the diet. Omega-3s are essential components of cell membranes and are natural anti-inflammatories that protect the cardiopulmonary and musculoskeletal systems. Omega-3s support a healthy blood pressure, help to decrease arterial plaque formation, help to decrease triglyceride levels and raise good cholesterol levels (HDL). Omega-3s are vital for cognitive function and have been found to help with symptoms of ADD, ADHD, anxiety and depression. Research studies are demonstrating that higher Omega-3 intake is linked to decreased age-related mental decline and potentially a reduced risk of Alzheimer’s disease. Omega-3s are supportive of eye sight because they are a major component of the retina. 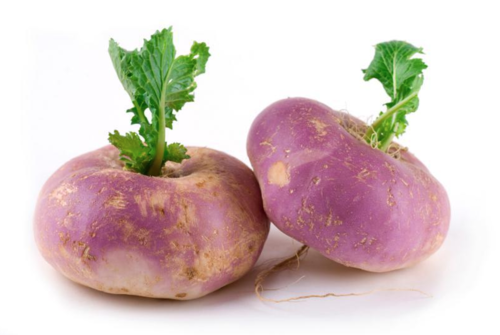 The turnip is high in fiber and is gastrointestinal friendly. Turnips can help balance out the intestinal tract, decrease irregularity and help prevent irritable bowel and constipation. 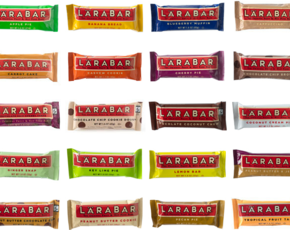 Fiber will make you feel full and help with glucose levels. Fiber intake is also helpful in the prevention of diverticulosis and research demonstrates that fiber is helpful in the prevention of intestinal cancers. Some individuals may have an allergy to cruciferous vegetables and that would be the only downfall. 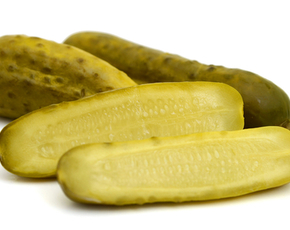 If you weigh the benefits versus the risks of this vegetable it is nutritionally sound and a healthy choice.